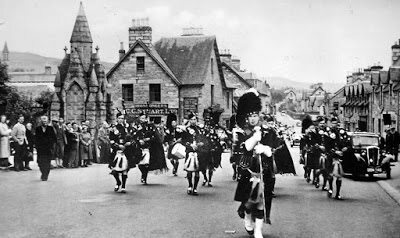 Happy New Year from Rosemount Hotel Pitlochry – with a small feature on Pitlochry then and now. 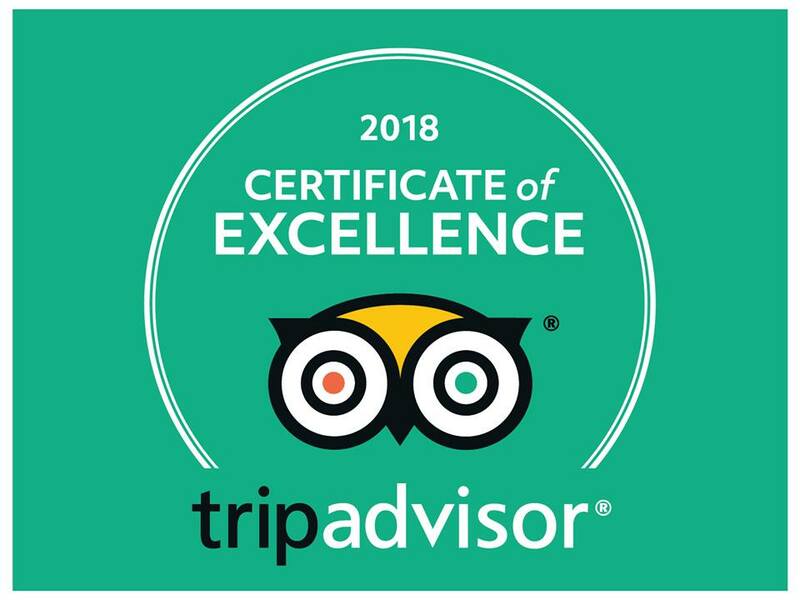 I remember that when we first came here in the 1980’s, the Vale of Atholl Pipe Band used to march through the town every Sunday. It used to make my heart sing to hear that fabulous sound echo through the hills as we were cleaning the rooms at Rosemount Hotel, Pitlochry, Sunday mornings, with windows open and quite thrilled by the impression on the gorgeous backdrop of the Tummel Valley against a blue sky with this thunderous sound shaking the very floorboards. 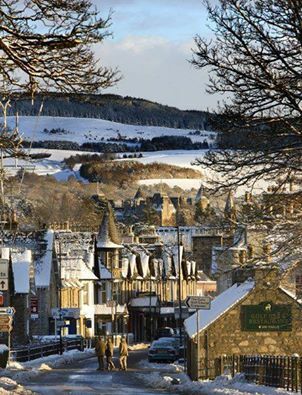 So atmospheric and befitting this fabulous Highland town. 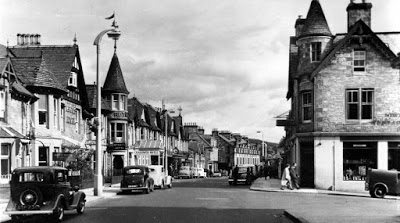 Below is another old photo taken from the top end of Pitlochry with an up to date version taken from a similar vantage point, just a little further along the High Street. 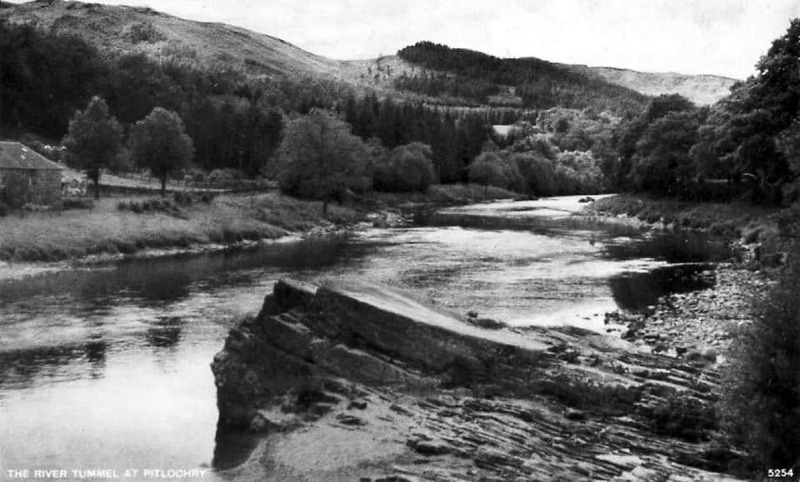 Here’s an old snapshot of the River Tummel passing through Portnacraig before the dam was built and way before the Theatre appeared in this idyllic location. 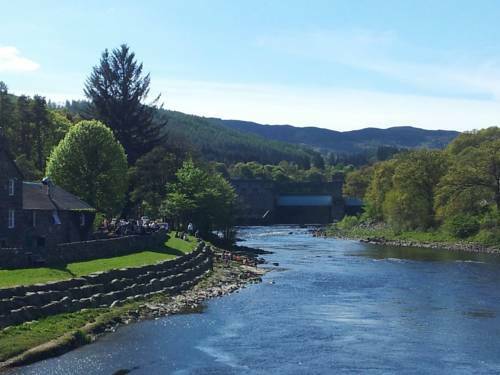 By referring to the trees, we can see that little has changed, save the appearance of Pitlochry Festival Theatre and Pitlochry Dam and the appearance of more forestry on the hills.